Home » Football » Sunderland » Can Sunderland bounce back to the Championship? 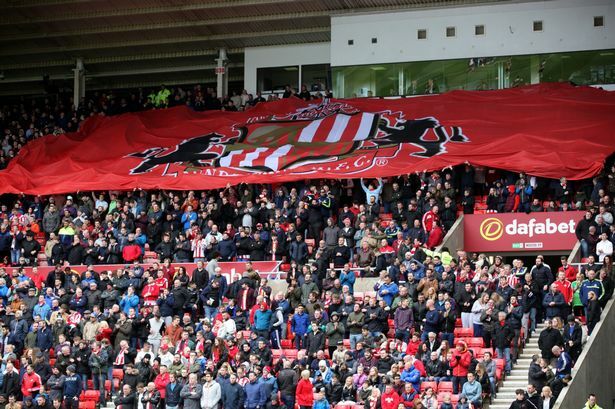 Sunderland will look to get their season off to a good start as they entertain Derby at the Stadium of Light, with both sides looking for improved season’s this time around as a Sunderland v Derby live stream is reported to be in operation for this game (Kick Off 19:45). The Black Cats had an appalling season, culminating in their relegation from the Premier League, and fans will be hopeful of at least some cheer as we enter the new 2017/2018 season. Its been all change at the top, with David Moyes ending his disappointing reign in the summer, while top striker Jermaine Defoe has left he club to join current Premier League outfit Bournemouth. Championship veteran Simon Grayson has been brought in to steady an uneasy Sunderland ship, and this year may be a season for consolidation and rebuilding. The same could be said of Derby, who once again missed out on promotion through the playoffs, finishing in a demoralizing eighth place in the Championship. The transfer window has been pretty busy at Pride Park, with a number of big name players moving away from the Midlands. Tom Ince has once again moved clubs with the well travelled man joining newly promoted Huddersfield, while Will Hughes has hooked up with Watdord in the Premier League. That said, newly appointed boss Garry Rowett, who took over for the forlorn Steve McLaren has plenty of pedigree at this level and looks to be just the right man to oversee the Rams season. Sunderland’s attempts to bring Tottenham Hotspur strikers Jermain Defoe and Robbie Keane to the Stadium of Light have stalled after it appeared the strikers would not compromise on their wage demands. Sunderland manager, Steve Bruce, has made no secret of his desire to land experienced strikers this summer and Defoe and Keane fit the bill perfectly. Both strikers are likely to be surplus to requirements this season and rumours continue to circulate that both are likely to be on their way out of White Hart Lane this summer. And Harry Redknapp has further fuelled the speculation as he remains intent on capturing Sunderland’s Asamoah Gyan. The Ghanian striker was bought by the Black Cats last summer after his impressive World Cup form. News that Gyan could be on his way out of Wearside is likely to be greeted with hostility by Sunderland fans as the club need to bolster their attacking options. Letting go of one of their best forwards would be seen as a step backwards, and rightly so. A deal for Defoe and Keane is by no means dead in the water, however. Tottenham could be tempted to sell as they aim to raise funds to buy a prolific striker having been linked with Fabiano and Llorente in the past few months. Sunderland have already been the busiest by far this summer. They have bought two strikers with Ji Dong-Won and Connor Wickham arriving at the Stadium of Light. Other areas have also been bolstered too as Brown and O’Shea completed moves from Manchester United last week. It seems that the club have been spending the funds generated by Jordan Henderson’s transfer to Liverpool very wisely and their spending does not look set to end yet. But Keane and Defoe will both have to compromise on their wage demands if they are to leave Tottenham in favour of a move up north this summer.